More than just a huge #1 best seller, this is one of the great and vitally important books of our time. Allan Bloom, a professor of social thought at the University of Chicago and a noted translator of Plato and Rousseau, argues that the social and political crisis of modern America is really an intellectual crisis. From the universities' lack of purpose to their students' lack of learning, from the jargon of liberation to the supplanting of reason by "creativity," Bloom shows how American democracy has unwittingly played host to vulgarized ideas of nihilism and despair, of relativism disguised as tolerance. 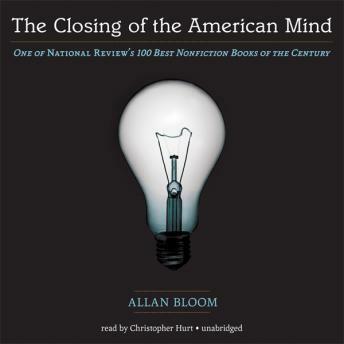 Bloom demonstrates that the collective mind of the American university is closed to the principles of the Western tradition, in particular its spiritual heritage, which gave rise to the university in the first place.